Wales will play England and Ireland twice each as part of their 2019 Rugby World Cup preparations. Warren Gatland's side will first face England in back-to-back fixtures, on 11 August at Twickenham and then on 17 August at the Principality Stadium. 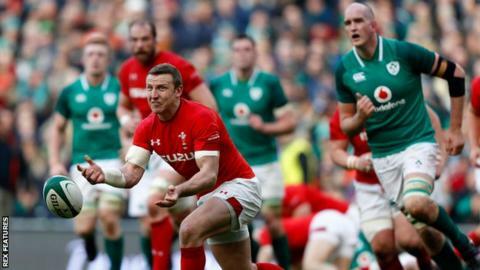 Wales then welcome Ireland to Cardiff on 31 August before concluding their fixtures in Dublin on 7 September. "I'm delighted with the fixture schedule we have put together for next summer," said Gatland. "We have put together a detailed plan of preparation leading into the tournament and these fixtures are an extremely important part of that. "It is important we test ourselves in competitive environments before heading to Japan and these matches are ideal for us and I'm delighted to have secured back-to-back fixtures against both England and Ireland. The final fixture against Ireland will come after Gatland has submitted his finalised World Cup squad to World Rugby. Wales begin their World Cup campaign on 23 September against Georgia in Toyota City, before facing Australia, Fiji and then Uruguay in their remaining Pool D games. England v Wales (Twickenham); Sunday, 11 August. Wales v England (Principality Stadium); Saturday, 17 August. Wales v Ireland (Principality Stadium); Saturday, 31 August. Ireland v Wales (Aviva Stadium); Saturday, 7 September.